A Warwickshire precision manufacturing specialist is celebrating 40 years in business by completing a £700,000 investment drive. 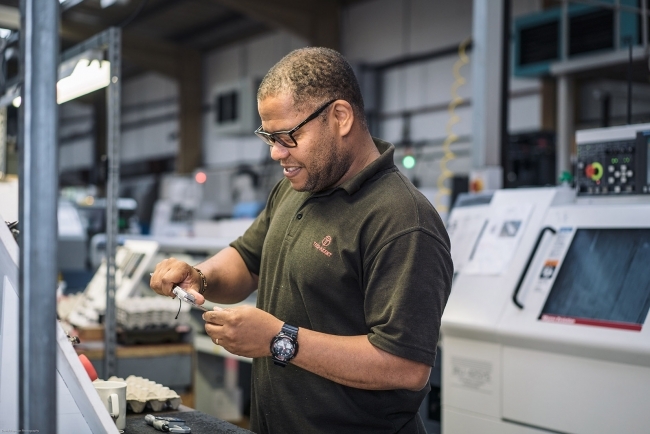 Supported by the Manufacturing Growth Programme (MGP), the company has also successfully worked towards and secured AS9100 Rev D, a quality accreditation that is fast becoming a prerequisite for winning and maintaining high profile contracts in the aerospace sector. Kevan Kane, Managing Director of Technoset, explained: “The business started life completing high volume/low value work, but this has evolved over the 40 years so that we are now recognised as a manufacturer of complex and specialist parts designed to be used in demanding environments. He continued: “Critical to our future growth was securing the AS9100 Rev D quality award, which is a very demanding and stringent process with Rev D containing a stronger focus on risk management. Michelle Connor, Manufacturing Growth Manager at MGP, added: “This is a great example of how targeted business support can help a manufacturer unlock new opportunities and safeguard contracts.